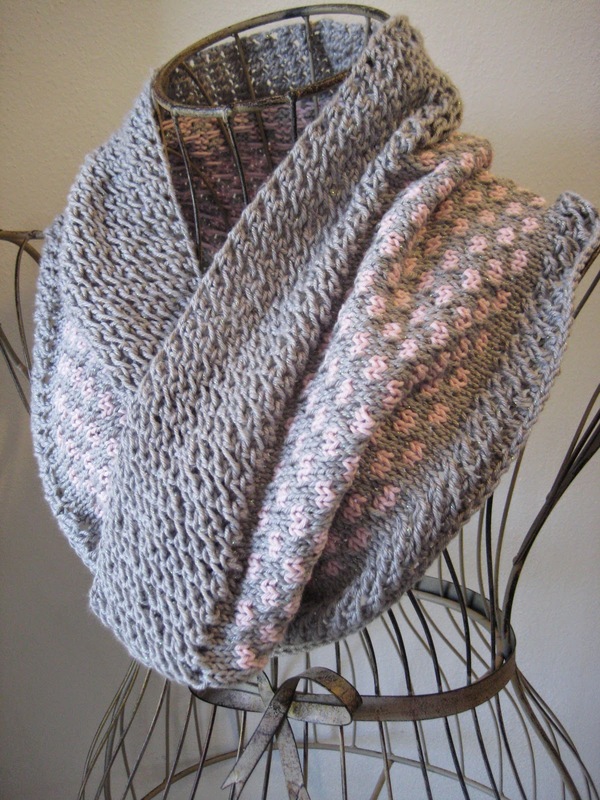 After I posted the Sweet Strawberry Cowl, I had a few people ask me if the same thing could be done in the round. 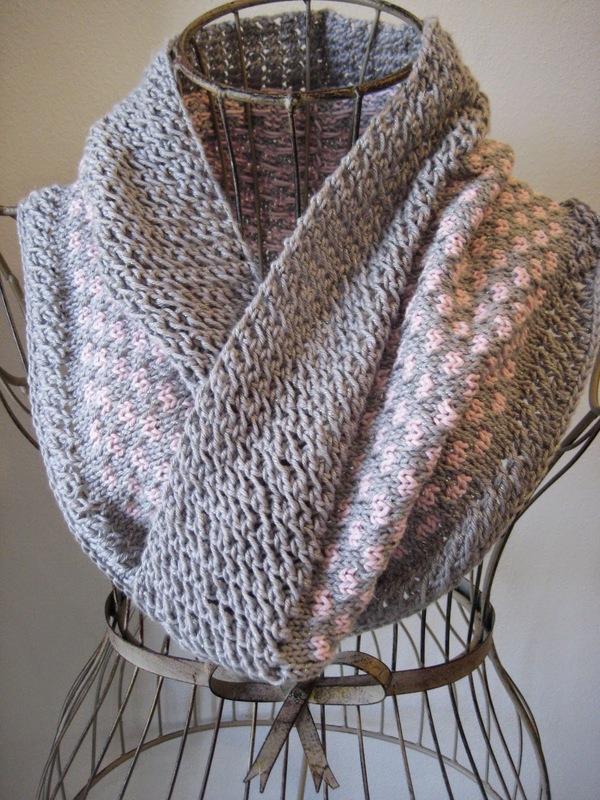 And while the Sugar & Ice Cowl is by no means the same as the Sweet Strawberry (I omitted the shaping and made it two-color with the leftover yarn from the Daisy Chain Cowl), it does share certain characteristics, including reversible mesh at the top and bottom of the piece. 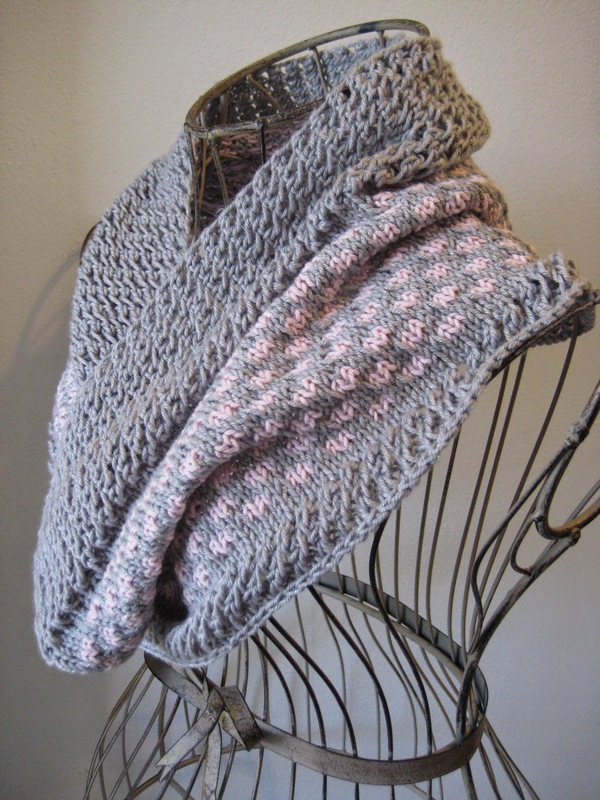 If desired, it could also be made one color by working the middle portion in a simple stockinette. 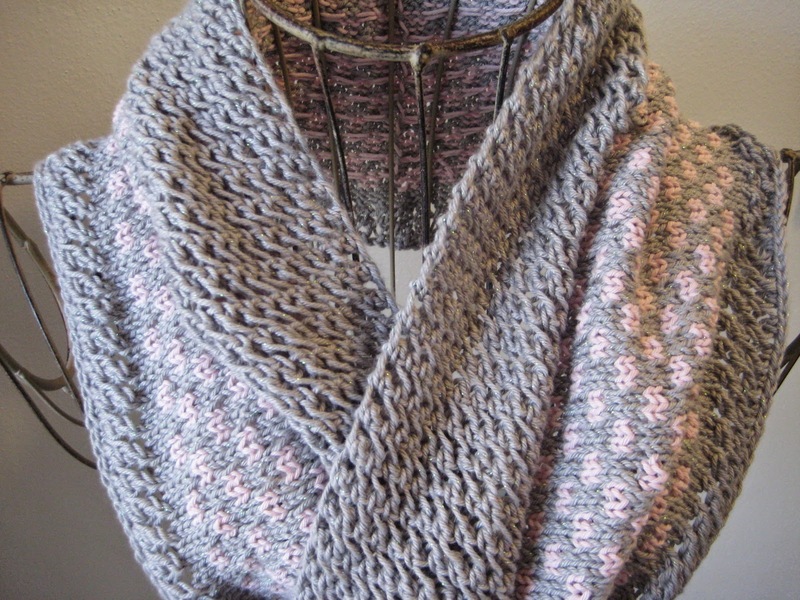 Knit rows 1 & 2 twice, and then knit row 1 one final time. 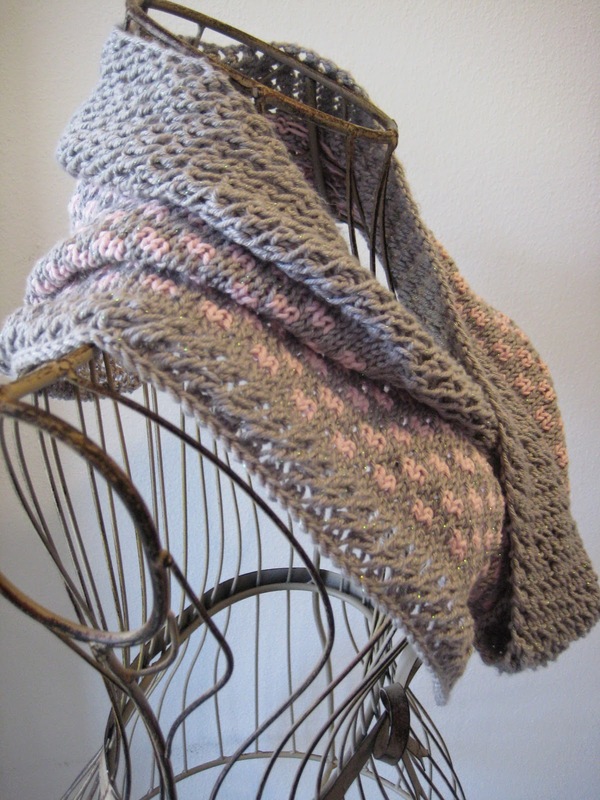 Bind off and tuck in ends. For best results, block. It is like you KNOW just what colors I love together! Because these are two of them again!! Hi Linda! 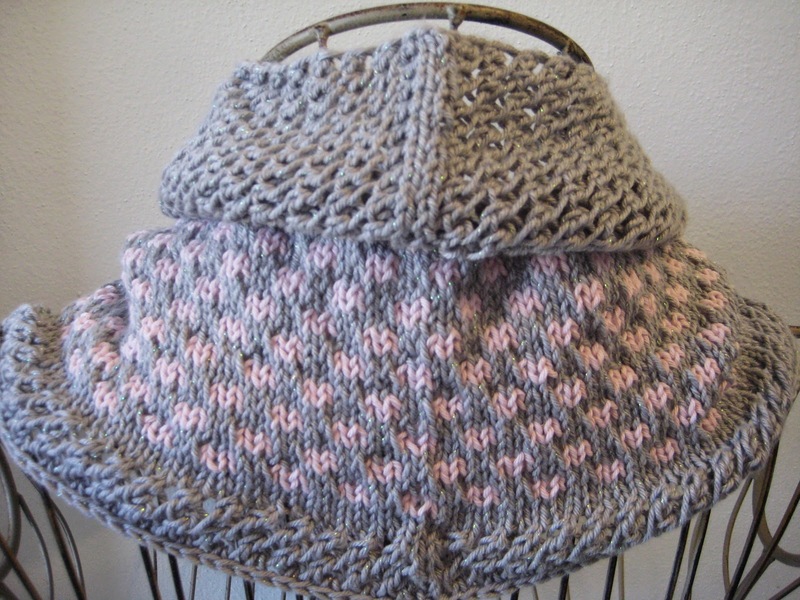 And I totally love pink & gray together - so much so that I didn't even realize I had already done it (with the Star Stitch Cowl) before it was too late!!! The colors remind me of one of my favorite outfits I wore when I was younger... I've never forgotten my pleasure in the "suit" and the colors of it! Thanks for the memory! Well I'm glad I could remind you of something pleasant! Love these colors too. Like you I have a lot of one and two balls of yarn...must have been on drugs when I bought them...what the heck do you do with two balls of something?? hahaha Can't wait to try this! Thanks so much. Yes this is pretty much my Achilles heel... Although I have gotten better at coming up with stuff!!! 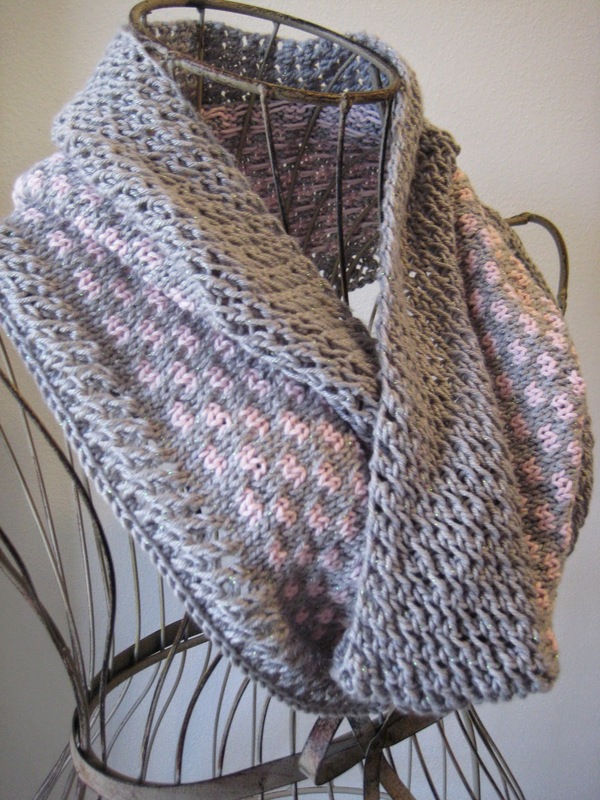 :) And I'm glad you like the pattern! There's a green PrintFriendly button between the last photo and the comments... Use that and you can format the pattern as you'd like (also the button didn't seem to show up in mobile format so if you're using a mobile device you may have to switch it to non-mobile first).